The Hough High School Band Program will host a Mattress Sale Fundraiser on Saturday, April 27 in the Hough High School lobby on Bailey Road. There will be a full range of bed styles, sizes and name brands to test from 10 am to 5 pm. 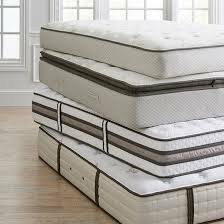 All mattress sizes (twin, full, queen, king, California king) and styles (firm, pillow-top, orthopedic, latex and gel memory foam as well as adjustable bed frames) are available at a discount off retail prices. Cash, checks, and credit cards are accepted and free layaway is available. Home delivery will be scheduled at the time of purchase.